You've come upon Revenge, the Listed Fanlisting for Benjamin 'Sweeney Todd' Barker (Sweeney Todd: The Demon Barber of Fleet Street) in the Characters: Book/Movie category. This is one of my favorite Johnny Depp characters. Are you a Sweeney Todd fan too? Then be sure to join! This fanlisting is owned by yours truly, Jennifer. This site is all fan based. 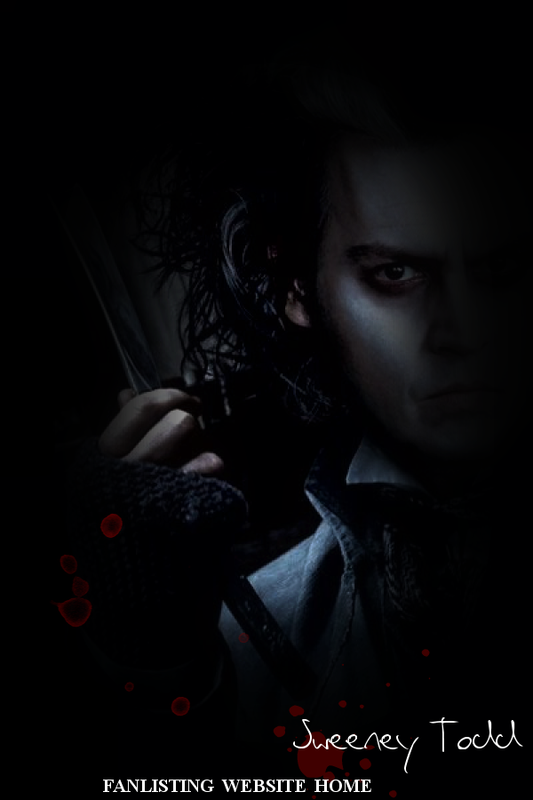 I don't know Johnny Depp or anyone involved with Sweeney Todd and I don't own any images used in the making of this site. If you have any concerns, feel free to write me.